People invest heavily in their pet fish. Although varieties may be purchased for low prices, the aggregate worth of the fish in a home aquarium can become quite large. This is particularly true if medical and husbandry problems result in frequent losses requiring restocking or repurchasing of new equipment. 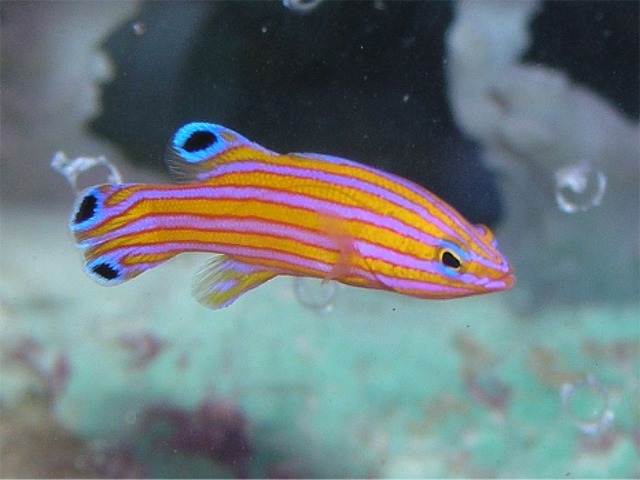 When fish are caught and transported in closely packed spaces, they exhibit increasing signs of weakness and therefore decreased immunity to disease. The scope of this paper is to set forth major guidelines on how to prevent and eradicate diseases of marine fishes kept in the home aquarium. There are two types of marine aquariums. Most people don’t realize this, thinking all marine aquariums are the same and treated the same. First we must distinguish between them. It is important to understand the differences because they have great bearing on the husbandry practices of the fish we wish to keep. The two types of marine aquariums are: THE MARINE FISH TANK and THE REEF TANK. The first would primarily consist of marine fishes in a community using dead or inert coral as decorative landscape. The second would primarily use live rock, sand, coral, and other invertebrates as the basic structure for display. Not all fishes kept in marine fish tanks are compatible in reef tanks. A lot of fish prey on living coral and invertebrates kept in home reef tanks. The scope of this paper doesn’t allow time to be specific on this subject. The key difference between the two types of marine set-ups is live rock. I’m seeing more and more aquarists use live rock in all marine set-ups – thinking or advised it is a good thing. The problem is they don’t really understand the advantages and disadvantages associated with live rock. Let me explain: Live rock should not be used in marine fish tank situations mainly because of the ability to house parasites and infectious bacterial strains. 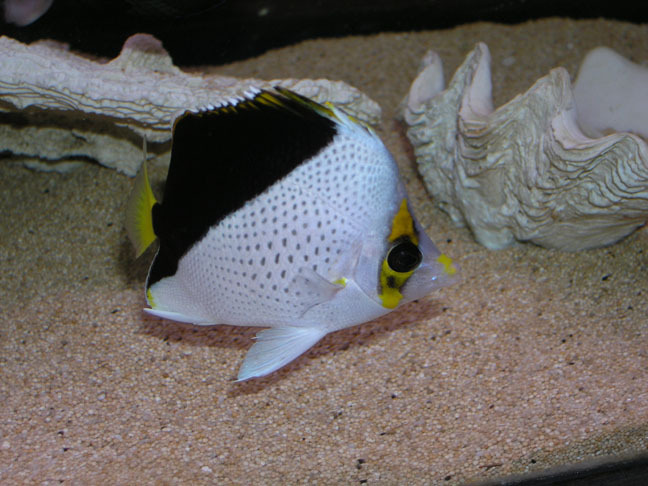 Fishes such as angels (Pomacanthidae), tangs (Acanthuridae), and butterflys (Chaetodontidae) are generally kept in marine fish tanks. These fishes are more apt to carry or contract disease, making it more likely medications will have to be used at some point in time to keep the community safe. If copper sulfate or other common medications are used to eradicate disease, live rock will die causing water quality problems, decreasing the healing process of marine fish. Live rock can push the aquarist into a corner. When his $200 angel is sick, he can easily medicate the fish and save it, but not with live rock. I have also seen many times where live rock was added to an established tank and the community breaks out with a cryptocaryon infection (saltwater ick). Live rock can be a great disadvantage to the welfare of a marine fish tank community in both cases. WHY THEN DO WE USE LIVE ROCK AT ALL? Live rock and sand are used in reef tank situations. As stated before, a reef tank is a marine aquarium consisting of living coral and invertebrates. Studies and experience throughout the last 15 years has shown the advantages of using live rock and sand, giving better balance and stability to these systems than the standard aquarium filters. Live rock provides the reef with a very adequate biological fitter as well as a denitrifing component one cannot achieve using wet dry filters. Rock also provides a shelving component to place living coral and polyps upon, simulating the reef more appropriately. This strategy (also known as a Berlin system) named for the Germans who studied the idea, has come to be the most widely used idea of today’s reef tanks. The popularity is mainly because of the health of corals, and beauty of the reef lacking little to no micro-algae commonly found to be a major disappointment to the reef hobbyist. WHAT ABOUT THE FISHES WELL BEING IN A REEF TANK SITUATION? Most marine fish come from stable ocean environments, which, with their high concentration of dissolved oxygen, constant pH, low C02, nitrate, and lack of ammonia or nitrite, offer the ideal living environment. 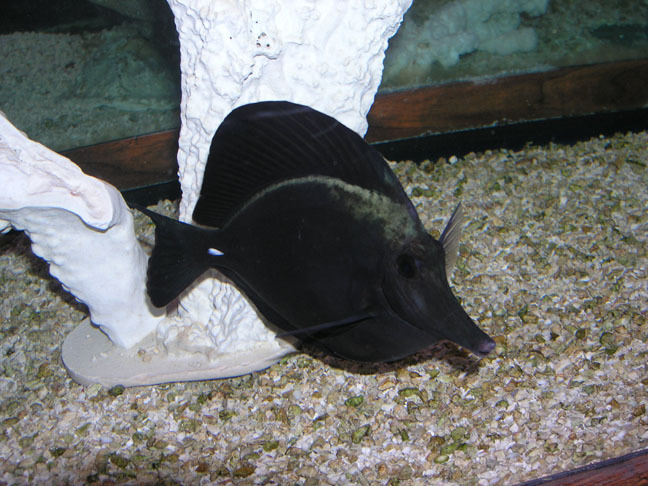 Captive fishes are primarily affected by the chemistry and biology of their external environment. These conditions are controlled by the aquarium owner. When the aquaria is overloaded with waste, fishes are susceptible to bacterial or certain parasitic infections. It is essential that the above parameters are kept as close as possible to the fishes natural environment or medicating sick fish is useless. Poor water quality makes drug treatment ineffective. With this in mind, I will touch on a few basic ideas used to keep water parameters in check with relation to fish health. Salinity (or specific gravity) in fish only tanks should be kept lower (around 1.015 to 1.018). In a lower saline environment, fishes osmoregulate less vigorously leaving more energy to improve immunity tissue. Energy through metabolism is important to any animal when fighting diseases. The more energy saved, the stronger the fish becomes. Studies have shown many dinoflagellate and cilliate parasites are less active in their infective stage at lower salinities. With these criteria in mind, fish will benefit greatly. However in a reef tank situation, low salinities are not good for coral physiology and metabolic processes. Thus salinities must be raised to natural sea-water (1.020 to 1.024). It is hard to achieve even dispersion of water flow through one pump, that is why it is common to see multiple pumps used in an aquarium. One might have three pumps (each rated at 300 gph) placed in different areas of the tank making sure water is moving evenly throughout the whole aquarium. Water flow is more important in reef tank scenarios because of live rock acting as your biological filter. Oxidation (or elimination) of ammonia and nitrite is most efficient when conditions are aerobic. In general, nitrifying bacteria function within wider ranges of dissolved oxygen, pH, and salinity than can be tolerated by most seawater fishes. When dissolved oxygen is troublesome to deeper sections of live rock the rock doesn’t act as a sufficient nitrifying bed, thus leaving pockets or low levels of ammonia and nitrite. These anaerobic areas may also damage the rock causing slime bacteria or other micro algae to grow. Biological, mechanical, and chemical filtration are required in marine aquaria. The scope of this paper does not allow me to be specific on biological filters and the effects of ammonia and nitrite on fish. Except to say a biological filter is a must, running efficiently leaving zero ammonia and nitrite in the aquarium at all times. Realizing that nitrogen toxicity such as ammonia and nitrite can greatly exacerbate or even initiate infectious disease problems, you should begin by examining environmental and filtration practices. As stated above, I believe in fish only tanks, the most efficient way to achieve maximum biological filtration are wet-dry filters. 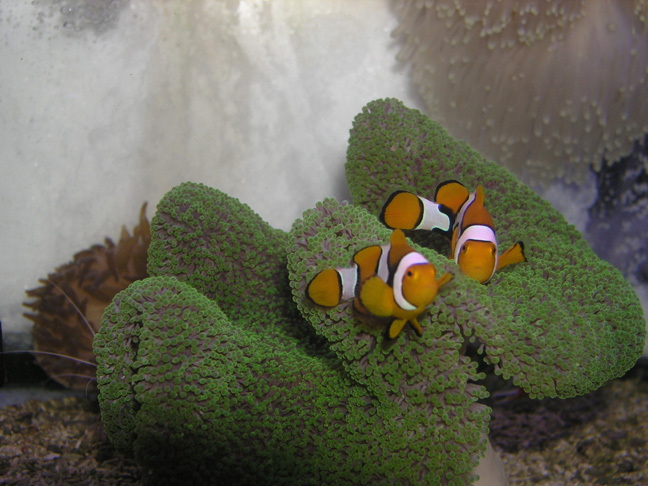 In reef aquariums, live rock is most preferred because nitrate production in quite a bit less. One should consult a local aquarium shop or book for recommendations toward these guidelines in relation to the type of marine aquarium they wish to keep. Chemical filtration is used to remove dissolved substances from water and usually consist of the following methods: activated carbon, foam fractionation, ion exchange resins, or oxidation via ozonization. Without proper chemical filtration, tank water becomes saturated with organic waste known as Dissolved Organic Carbon or DOC. Bacteria and viruses feed on this matter enabling them to propagate into large numbers. If the pathogen numbers are high in tank water, anti-bodies of the fish cannot fight as well, thus infections occur. Look at it this way, if we swim in crowded pools where filtration and chlorine levels are low, there are potential problems with sores on our skin. These occur from bacteria and viruses which are high in numbers of poorly maintained swimming pools. Because we cannot use chlorine in aquariums as a disinfectant, we must take the equipment we use seriously as chemical and mechanical filters. Other equipment like: R.O. units, ground probes, occilaters, ozonizers, wavemakers, denitrifying systems, refuge tanks, and surge systems are also very helpful. I will refer the customer to a good book or aquarium shop to learn more about the benefits of these pieces with relation to their fishes health. Foam fractionation removes DOC from solutions by absorbing it onto surfaces of air bubbles rising in a closed column. Accumulated organic matter is later discarded with the foam that is produced. There are many different types of protein skimmers on the market. Most commonly used are venturi, counter-current, or downdraft. There have been many articles, papers, and books written on this subject causing great debate between one method versus another. I will not argue over which method is better, as I have seen all three methods work (and very well). I have also see all three methods not work. I will say the efficiency is based on the size of the air bubbles preferably between .5 and .8 mm in diameter. The contact time of the air bubbles in the column is most important leading us to believe taller skimmers should fractionate better. This is not always the case, as certain types cause great turbulation leaving air bubbles to contact the water microseconds longer before rising to the surface and popping. The neck size of a skimmer gives us an idea of the amount of foam the skimmer can produce. We usually don’t expect a skimmer with a one inch neck size to produce the same waste as a skimmer with a three inch neck size. The bottom line is a skimmer should always run and produce foam to collection. A lot of hobbyists have one, but they are not working properly. I credit this to the lack of maintenance or craftsmanship of the skimmer. If the unit needs a lot of work, over time the owner is more liable to let the skimmer go and it will stop collecting efficiently. I hate to say it, but from my experience, the cost of a skimmer is reflective of: maintenance ease, and fractionation efficiency. I have yet to find a $50 skimmer do the job on a tank larger than 45 gallons. Don’t skimp on this piece of equipment or your fish may pay the price. A Foam fractionator is the best way to remove DOC. A low DOC means the bacterial-viral count should be lower, thus fishes in this water have less chance to catch or spread disease. A lower bacterial-viral count will also help a U.V. sterilizer work more efficiently. It is one thing to have a U.V., but another to have it running properly. Colored water, particles, high bacterial count, or slime coated bulb sleeves reduce the effectiveness of a unit. Pre-filtering the water for particles, carbon and protein skimmers for dissolved organics, routine cleaning of the sleeve, slowing the flow rate and over sizing the unit all increase effectiveness. Studies show simply by reducing the flow rate by 50%, you can double your kill-rate to 90,000 micro-watt seconds/cm3. This may be an option to a system under stressed circumstances. Tip: Always valve your U.V. hoses. Hospital or recovery tanks are usually used when administering antibiotics or medications harmful to invertebrates. The biggest mistake I see with them is the aquarist sets them up without proper biological filtration, or doesn’t take into consideration the size of fish, thus ammonia and nitrite lead to the demise of the fish! It is very important to seed the recovery tank with a stable bacteria bed from an existing aquarium and allow for proper water flow to increase oxygen. These water conditions must be favorable to the fish in order for the fish to “feel good” and recover. The most common anti-parasitic medication used on the market today is copper sulfate. 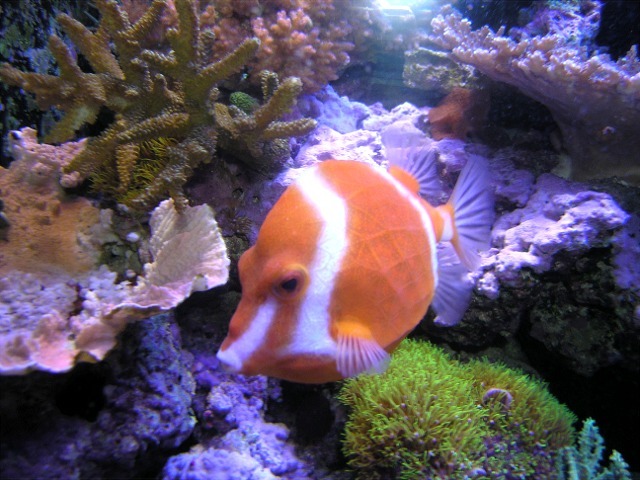 The drug is especially used to treat Odinium and Cryptocaryon (the two most common diseases of ornamental fish today). Treatment may not be effective if under dosed and is quite toxic if over-dosed. It is important to use an ionic copper test kit when using this drug. For effective treatment, .20 – .25 ppm copper ions are needed. The treatment period must be at least 14 days so that all parasites are killed while in the swarming stage. Otherwise the disease can reestablish itself very quickly. REMEMBER, copper sulfate kills invertebrates and should never be used in a reef aquarium. Other common medications used in a recovery tank are quinine hydrochloride, malachite green, and formaldehyde. These are commonly used to treat other parasitic infections or quarantining new fish. They are milder in strength with regards to “kill power” and I do not advocate the use of these drugs when there is an Odinium or Cryptocaryon outbreak, as the fish usually die before treatment works. There are many antibiotics one can use in hospital tanks The problem is to truly diagnose the bacterial infection as primary or secondary. Most bacterial infections are secondary, meaning there is a primary cause. The primary case, either tank conditions (see above) or parasitic must be treated first. I find this in about 90% of sick fish, thus there is truly no need for antibiotics. 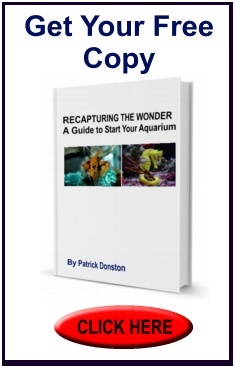 I recommend the aquarist refer to a good medication book or local aquarium shop before diagnosing bacterial infections and choosing an antibiotic. In nature, fishes eat the foods necessary for sustenance, growth and reproduction. Aquarium fishes are often poorly nourished, leaving less energy to run the body machinery (metabolism). They need essential amino and fatty acids plus vitamins and minerals to sustain life. Remember: no disease including those that affect humans has ever been controlled except by prevention. Emphasis on nutrition should be taken seriously which connotes healing and hindrance of disease. Missing proteins (or amino acids) cause developmental and disease abnormalities. Studies show thiamine and riboflavin missing in fishes diets are liable to contribute to corneal vascularization, cloudy lens, anemia, edema, and poor growth. Missing carbohydrates, such as biotin, can lead to skin lesions, abnormal color, and fragmentation of erythrocytes. Lipids represent a rich source of energy for fishes in general. Besides being an energy source, lipids provide essential fatty acids which are used in the construction of lymphatic tissue. This is where the majority of antibodies are produced. Fish, as with all animals, need natural resistors (or antibodies) to fight off disease. I cannot express enough how important HUFAS (highly unsaturated fatty acids) or PUFAS (polyunsaturated fatty acids) are when it comes to disease prevention. These products as well as essential vitamins must be incorporated in their diet. Of course nutrient requirements vary from fish to fish. It is important to always feed a varied diet that ensures we are completing their nutritional needs. I can say from first hand experience that I have healed Lymphocystes, lateral line disorder, hexamita, and other secondary bacterial infections by feeding dry pellets saturated with lipid HUFAS and vitamins. I credit this to the strengthening of the immune system. The combination of fish (compatibility) in the same aquarium is just as important as nutrition. However, for most aquarists it is very difficult to say in advance which species will tolerate one another. If dominant or aggressive behavior is not taken into consideration, weaker fish may experience substantial stress, be injured or even contract secondary diseases. Because of space I cannot elaborate on compatibility of all fishes, except to advise looking at a good book or aquarium shop when deciding on compatibility. One thing that separates a good shop from a bad one is a knowledgeable staff who can give sound advice on this subject. No (one) staff member knows it all. It is always nice to see the staff go to another co-worker for advice, instead of shaking his head yes to everything you select. When I speak of compatibility, I’m not only talking about direct aggression toward others, but competition for food. Sometimes fishes are not directly being attacked but cannot get enough food for survival (maybe because of their shy behavior or lack of space). One example is the Scribble angel Chaetodontoolus duboulayi. When put in a tank with lion fishes, this fish won’t act the same or eat properly even thouh the lion fish aren’t going near the angel. Put this fish in with smaller fish or butterfly fishes, it will thrive and eat aggressively. Although this is just one example, I hear of and see countless others where fishes are simply dying in tanks they shouldn’t be in to begin with. It is a common problem where I see customers put fishes that will not or cannot compete for food or space in their aquariums. These are environmental constraints certain species cannot endure. Are the eyes clear or cloudy? Does the shop have a good reputation for fish health? (Do they use commercial U.V’s and/or copper sulfate in their systems). What is the fishes normal diet? Are there any behavioral patters you should know about? Is it compatible with other future fishes you wish to have? Is it easy to keep, or more liable to disease? It is compatible in reef aquariums? These are just some of the more common questions you might want to know the answers to in order to get off to the right start. It may sound trivial, but the best aquarists are somewhat selective in picking the right additions. Remember, there are literally thousands of marine fish to choose from. You just can’t throw all of them in any one tank and expect them all to thrive equally. In conclusion, aquarium fishes are often poorly nourished, exposed to seawater of inferior quality, and provided with physical settings that interrupt or impair normal behavior. If the pertinent stress factors can be identified and controlled, diseases are less likely to flourish. An aquarists emphasis on fish health should always be a preventative one, only using treatment when necessary. Thank you, and please take care of your fish. American Zoo and Aquarium Association. 2001. Field Conservation Resource Guide. Wildlife Conservation Society, Atlanta, Georgia. Pp. 323. Bardach, John E. 1997. Sustainable Aquaculture. Wiley and Sons Inc., New York, New York. Pp. 251. Bassleer, Gerald. 1996. Diseases In Marine Aquarium Fish. Bassieer Biofish, Stationstr, Westmeerbeek, Belgium. Pp. 89. Eckert, Roger. 1988. Animal Physiology. W.H. Freeman Co., New York, New York. Pp. 683. Hoff, Frank H. 1996. Conditioning, Spawning and Rearing of Fish With Emphasis on Marine Clownfish Aquaculture Consultants Inc., Dade City, Florida. Pp. 212. Moyle, Peter B. and Joseph J. Cech. 1998. An Introduction to Ichthyology. Prentice Hall Inc., Englewood Cliffs, New Jersey. Pp. 559. Nelson, Joseph S. 1994. Fishes of the World. Wiley and Sons Inc., New York, New York. Pp. 600. Schmidt, Gerlad D., Larry S. Roberts. 1985. Foundations of Parasitologv. Times Mirror/Mosby Publishing. St. Louis, Missouri. Pp. 775. Spotte, Stephen. 1992. Captive Seawater Fishes. Wiley and Sons Inc., New York, New York. Pp. 942.